The Appellate Division of the Second Department, an appeal’s court, is currently entertaining an appeal on an unusual custody case. The lower court Judge in the Family Court, rendered a decision awarding residential custody to the mother. However, the court also granted decision making authority to the father. An appeal ensued. The attorney for the father claimed this arrangement cannot work. However the mother claimed she is prepared to try to allow the arrangement to work. An attorney for the child asked the appellate court to leave the decision as is. The mother in this case is a real estate developer. The father is an assistant district attorney in Kings County. He also serves as a Fordham University School of Law adjunct professor and a legal commentator for a television station. The parties were divorced in 2005. 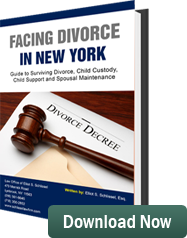 They originally had joint custody and joint decision making authority. The mother, Ann Marie McEvoy, was the primary residential custodial parent. Ms. McEvoy felt her son had autistic tendencies and needed special care. Hannigan, the father, disagreed. Thereafter custody litigation started. The case languished in the court’s for years. The father’s attorney claimed he had a “loving relationship with his son” and offered him “a safe, secure and healthy environment.” The father also claimed the son “thrived and flourished academically and socially when in his care.” He also claimed the mother tried to alienate the boy from him. The father claimed he was the only parent who would allow a relationship to exist with both parents. The attorney for the father argued the “wishes of the 10, 11 or 12 year old child is not what the court is mandated to follow.” She claimed the attorney for the child had not “accurately and fairly” represented the child because she immediately “adopted his position” before knowing the circumstances and facts involved in the case. The attorney for the child claimed the child had a mind of his own. The attorney for the father claimed the court was “troubled because the decision was internally inconsistent and hoped that the appeals court would overrule this decision.” Stay tuned for the Court’s decision which will be published in this blog when rendered by the Appeals Court.